Dog Rescue Without Borders is a non-profit 501(c) (3) organization which consists of a group of dedicated volunteers. We rescue homeless, abused, neglected & abandoned dogs from the streets and high-kill shelters; rehabilitate dogs by providing quality foster care and medical attention; and finding permanent and loving homes. We are committed to providing spay / neuter education; raising the public’s awareness of overpopulation, and responsible ownership. You may ask yourself why we rescue foreign dogs, and the answer to that is, in the US there are many animal charities to address the strays and find them good homes, but in Mexico, given the economic issues that affect the entire Country, the rescue of stray dogs is not a priority. Fortunately many local animal lovers give their best effort to network and rescue dogs in need. Working directly with locals and local groups in Tijuana, we rescue from high kill shelters, one-on-one street rescue, provide food, give medical attention, search for foster homes, rehabilitate and find permanent loving homes in Mexico and The United States. Each story is different and many are heart-breaking, but in every case there is a common thread – an animal that deserves a second chance at life. 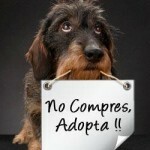 Dog Rescue without Borders was founded in August 2011 by Michela Arredondo, Elsa Peralta and Cynthia Espana Palacio. We are a volunteer-based organization and 100% of your donation goes to the animals. We do not have a shelter to house these unwanted and neglected dogs up for adoption we are thankful for the dedicated individuals who work tirelessly each day to improve the lives of our rescues and to insure that their future is blessed with a loving, stable home. Dog Rescue without Borders is entirely funded by the generosity of individuals just like you. For as little as .50 cents a day or a recurring donation of $15 per month, you can help provide much needed medical care to our homeless animals. THAT’S less than the cost of a latte a week! We work with our rescues until each one finds a loving home. Each dog we rescue requires many hours of care and social rehabilitation. We believe that each one wants to trust again, and can become a well-behaved and socialized canine citizen. We are here to help you find the perfect canine companion and to help every dog find a perfect forever home. Even so, we have a “no questions asked” policy in cases where a dog must be returned to us. Our main concern is the health and safety of our rescues. 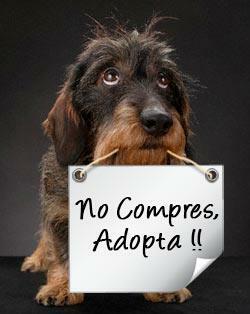 We also provide follow-up support to the individuals and families who adopt a dog from us. We have already seen amazing real life success stories unfold before our eyes: stories of canine survivors who refuse to lose their trust in mankind, no matter what hardships they have endured, stories of people whose lives have been touched and enriched by dogs who were once homeless and desperate for human companionship. It’s a big job, and we’re just a small group of pet lovers who believe every pet has a right to live a full life in a loving home. We want you, and everyone who supports our efforts to be part of our continued growth. And our exciting and promising future.